Size 18" X 36" X 7/8"
Based on a photograph by Gail Johnson. 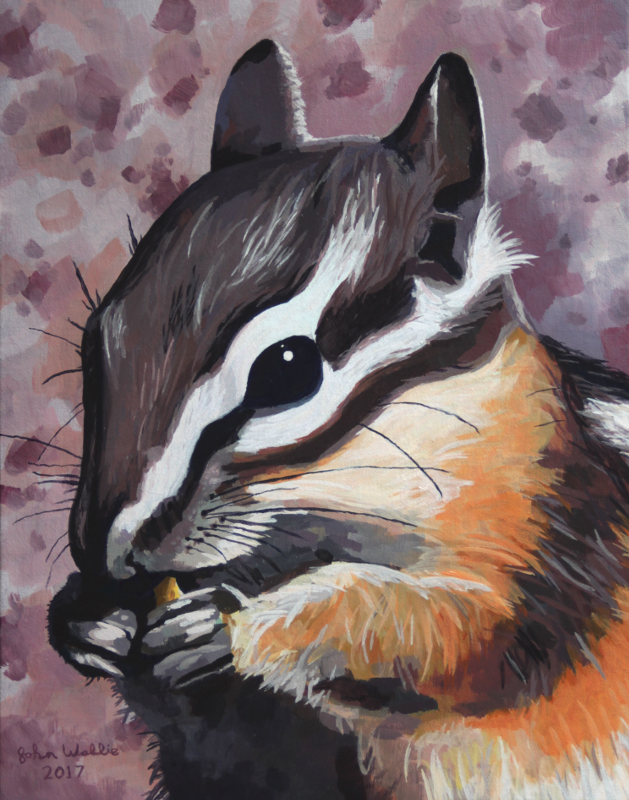 Size 11" X 14" X 7/8"
Based on a photograph by Linda Anderson. 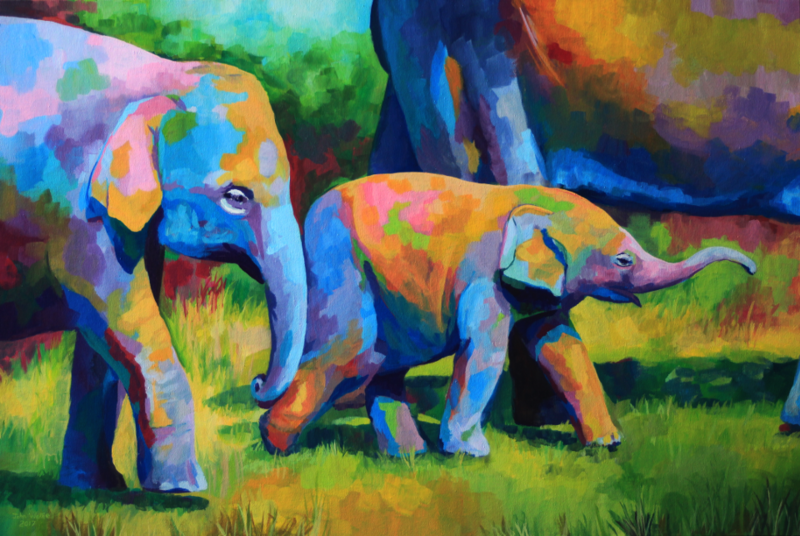 Large painting of a young elephant. This painting was done in an abstract & colorful style. Special thanks to Gary Jones for his excellent reference photo. 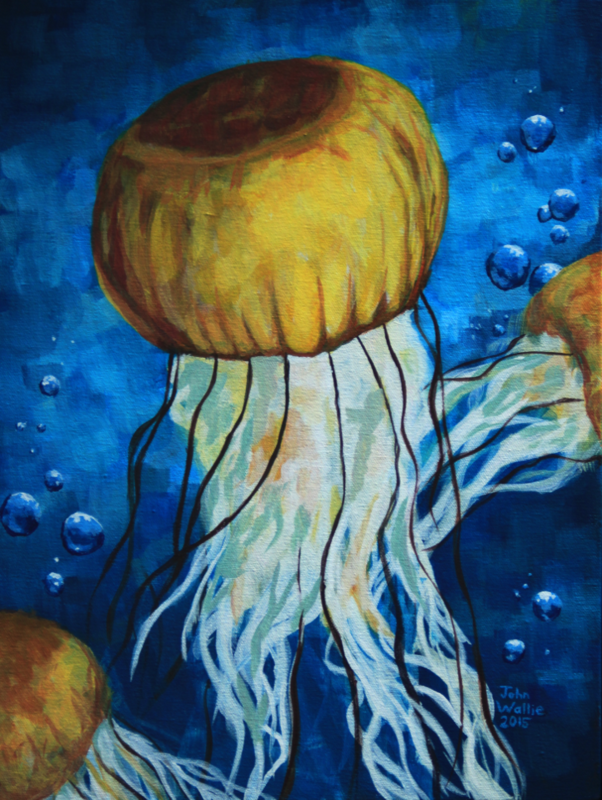 Painting of a bright yellow jellyfish. 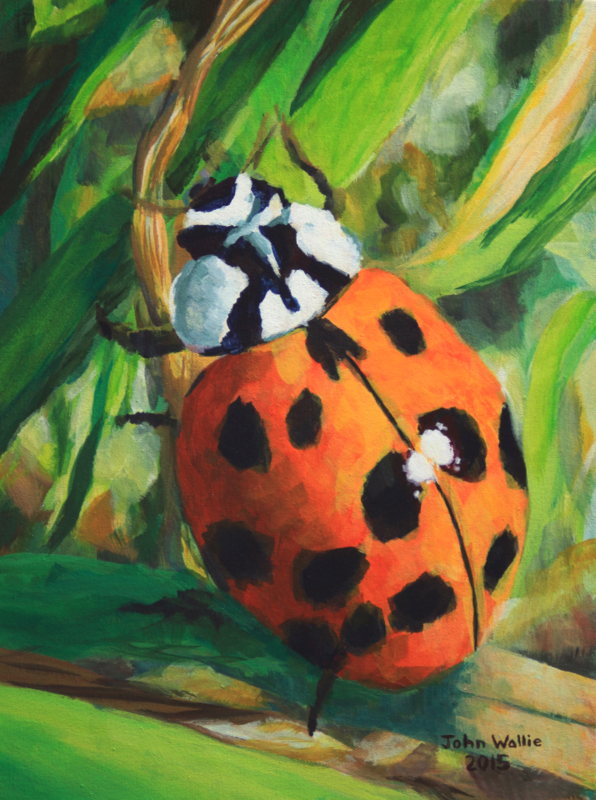 Size 12" x 16" x 7/8"
Painting of a Ladybug based on one of my own photographs.